WE HAVE MORE SHIRTS ON ORDER AND COMING SOON! 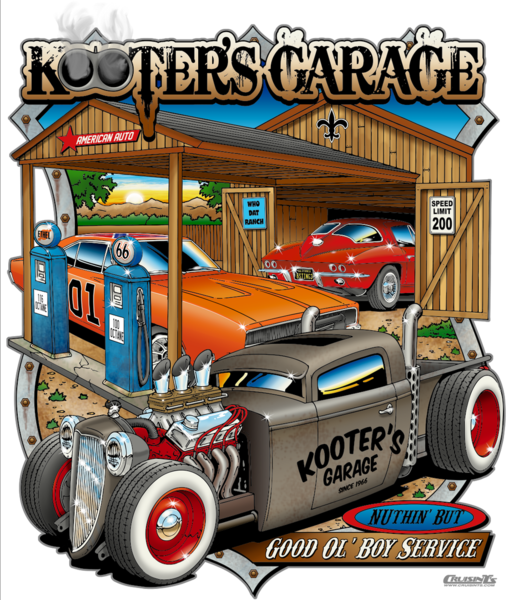 Kooter's Garage teamed up with Cruizin T's to design our one of a kind custom T-shirts. Brian had a very specific design idea for the Kooter's shirts, and Cruizin T's did an amazing job transforming his ideas into an incredible graphic. The shirts are awesome! If you'd like to have one of these custom shirts, stop by the shop or look for us at local events, such as the Murrieta Rod Run every October. 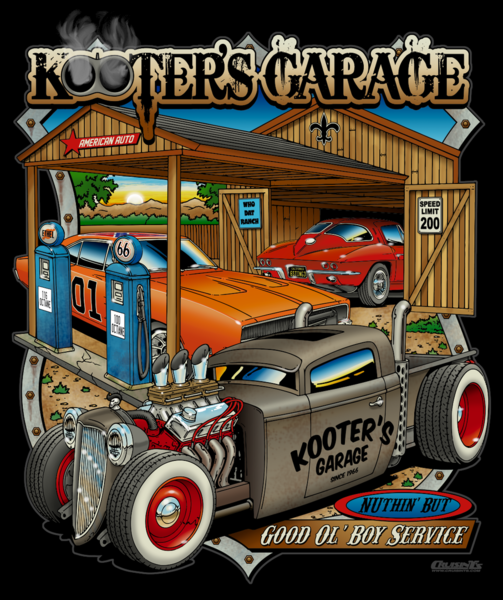 Also, follow Kooter's Garage on Instagram and Facebook, and watch out for an opportunity to win one of these high-quality custom T-shirts! We have online give-aways several times a year!